On January 12, 2017, the Rehabilitation & Community Providers Association (RCPA) in partnership with BHECON (the Behavioral Health + Economics Network) brought together diverse stakeholders for a discussion on using data to move the behavioral health system from paying for volume to value. As more behavioral health providers move to electronic health systems/records, they are tapping into efficiencies and innovations that come with the ability to analyze their own data sets. 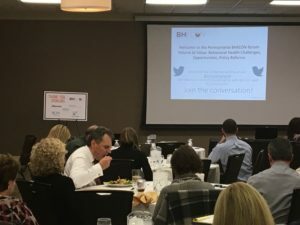 Providers at the BHECON forum shared ways they are already leveraging data to improve patient outcomes, reduce waiting times, set benchmarks for performance, and reduce the overall cost of care. 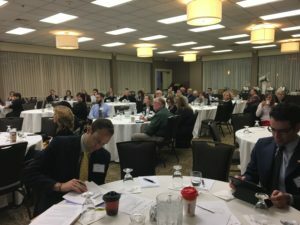 Attendees agreed that the ability to demonstrate the value of the services provided at community based behavioral health clinics would become increasingly important to payors and the state over the next few years. Providers recognized that they were responsible for preparing their practices for a value based payment model and offered suggestions for improving data collection to enable system transformation. Currently, they report to numerous entities, including the federal government, the state, the county, MCO’s, and many others. 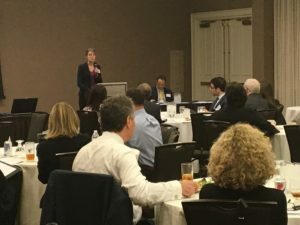 Attendees suggested a number of policy changes that could streamline quality reporting, including, consolidating the reports, standardizing the reporting forms, and implementing a singular method for submission, preferably electronic transmission. A solution as simple as a statewide-accepted definition for “hospital stay” could help standardize reporting forms and reduce reporting burdens on providers. Providers acknowledged that technology would play a large role in implementing many of the desired reforms. This means that providers, payors, and government agencies will need to coordinate systems to strengthen interoperability.